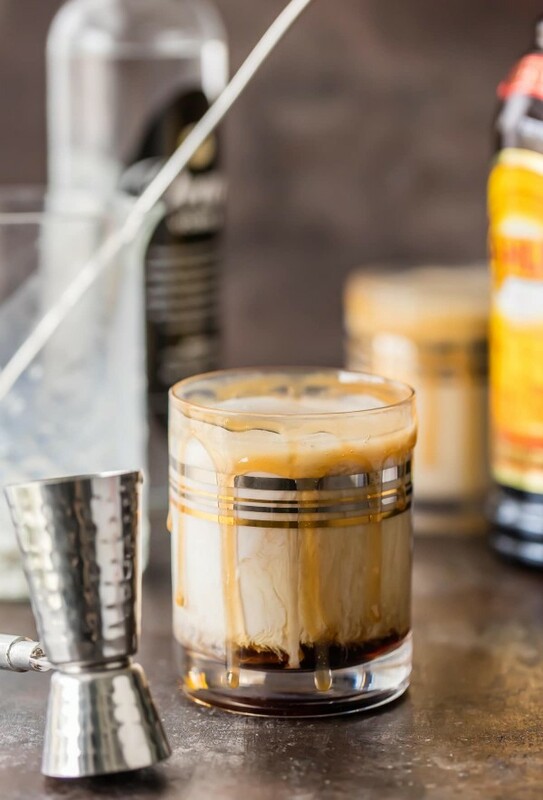 This SKINNY WHITE RUSSIAN has it all! Super creamy, flavorful, and just a fraction of the calories. You don’t have to feel guilty while sipping this skinnier version of a cocktail favorite! We all have our favorite cocktail. Whether it be margaritas, sangria, or martinis, it’s nice to have a skinnier version to fall back on when you don’t want to drink ALL of your calories for one day! I’ve always had a soft spot for creamy drinks, especially at the end of a long hard week. (HELLO FRIYAY!) 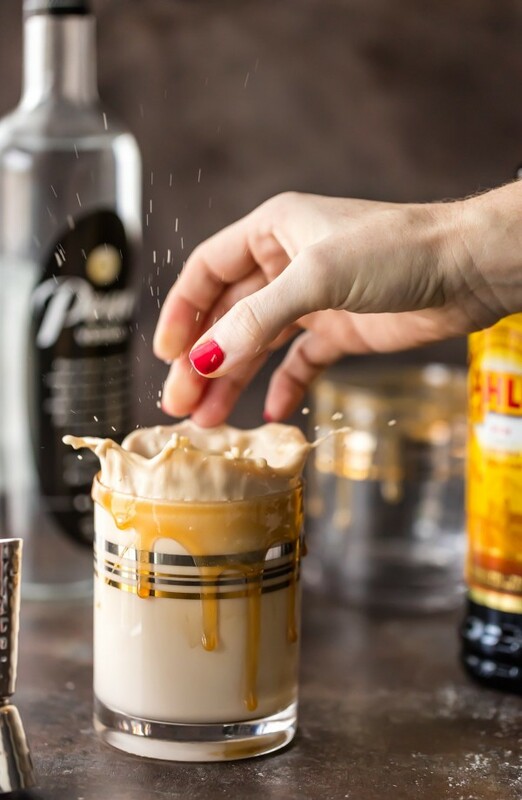 The problem with creamy drinks is…the CREAM. 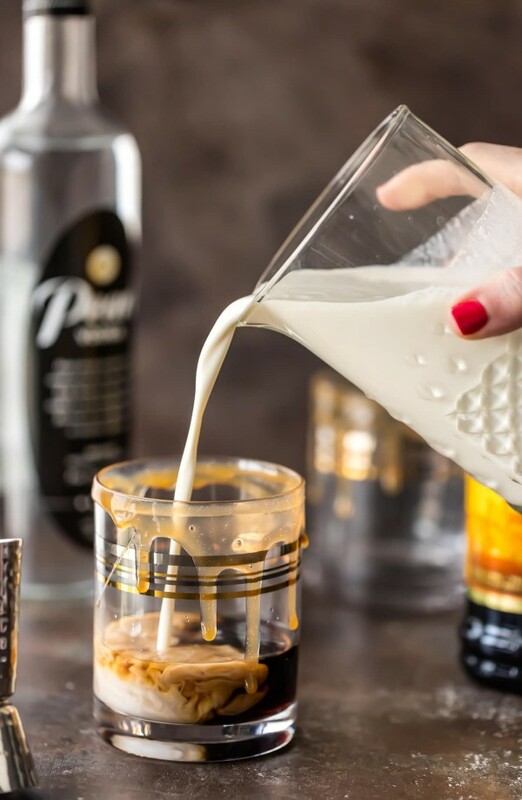 It’s not enough to just substitute skim milk in place of heavy cream, because it’s just not the same. As much as you tell yourself it is…it isn’t. 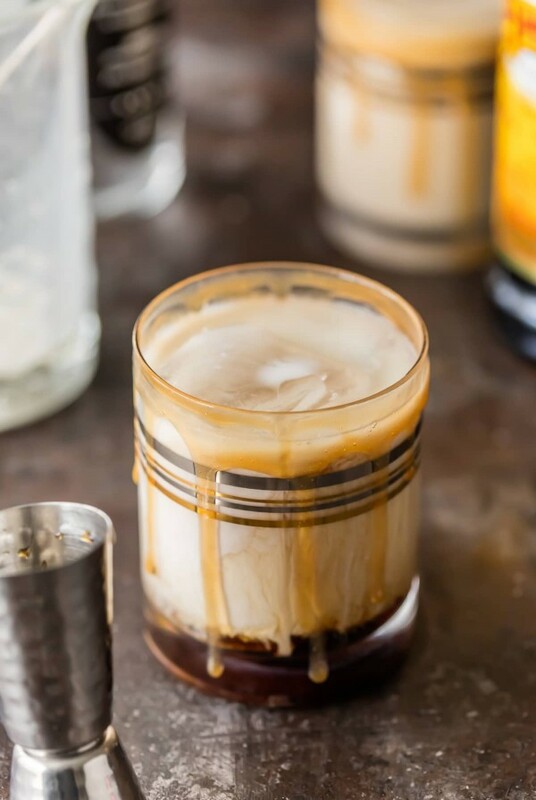 I want that texture that makes me feel like I’m sipping on a dessert, after all! 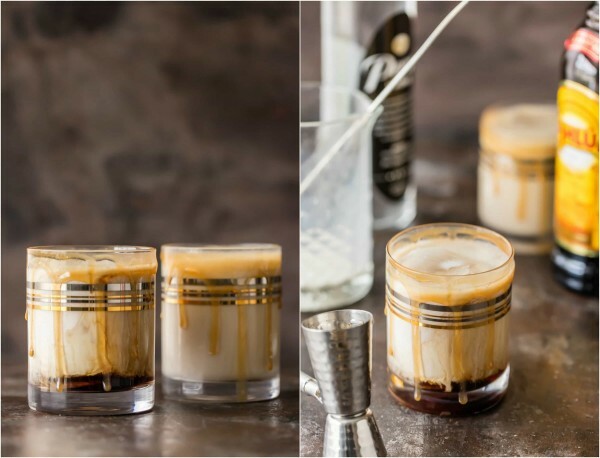 Lucky for me, and all you fellow White Russian lovers, this Skinny White Russian has all of the creaminess and none of the guilt…it’s a total win win! When you make this, please put the ice in first. I of course don’t mind a mess in the name of a fun picture, but you shouldn’t try this at home. The pictures following this one were MUCH messier! Add all of the ingredients to a glass with ice. Stir to combine.